Can you believe Lamborghini topped themselves by pricing their new hypercar almost triple that of a Bugatti Veyron? 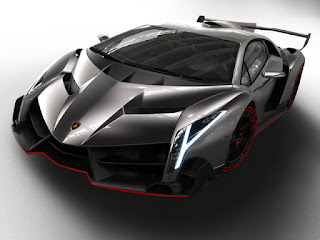 At 740hp with a 6.5liter V12 engine, this new Lamborghini Veneno hypercar will do 220 mph and run from a dead stop to 60mph in under 2 seconds. That is what a hypercar should be doing. 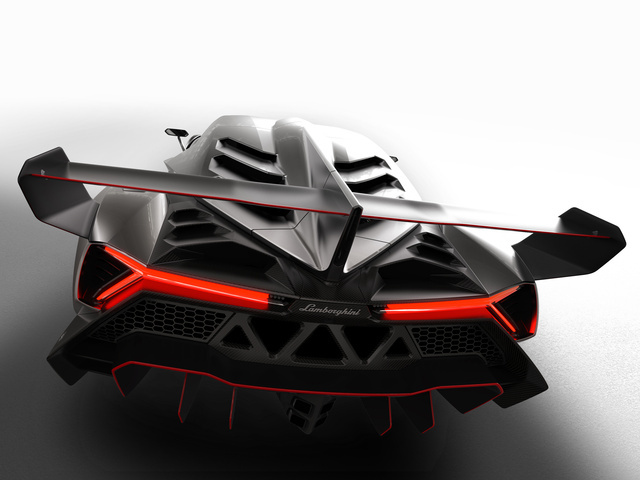 I love the way the designers at Lamborghini have gone back to the, how Jalopnik puts it, "the rude, absurd, and overdrawn" ways of the Italian car maker. One car designer, a long time ago, said that a car of this standard (supercars/hypercars) needs to look like a 5 year old boy drew up the plans and style for the car and that is what Lamborghini use to do. Where a Bugatti Veyron looks sleek and bubbly, the new Veneno has the looks of slicing your head off from every angle, and I love it! Those red Pirelli's look so good with this car. And for the interior.....What do you think? ?